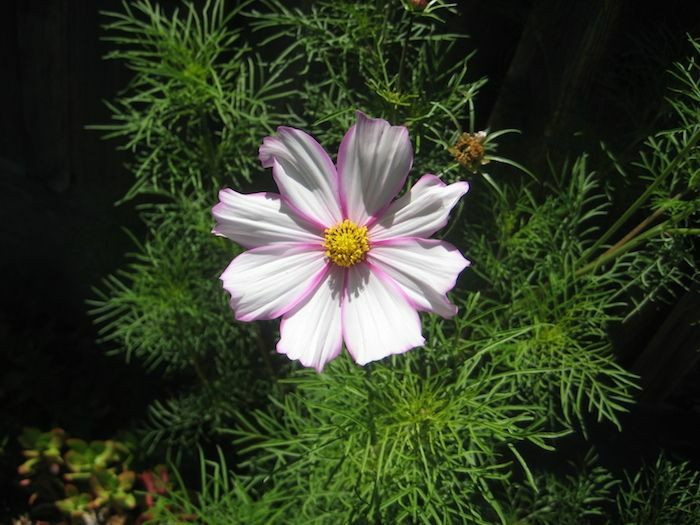 Cosmos are a perennial flowering plant of the family Asteraceae. The colors vary greatly between the different species, from whites, to pinks, to oranges, and even gradients or stripes. These flowers typically thrive in full sun and can grow over a meter tall.